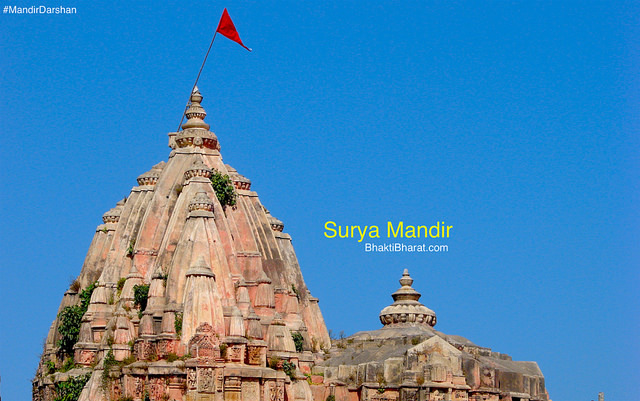 Surya Mandir is one of the oldest sun temple of Gujarat. Surya Dev and Chaya Devi are main vigrah in the temple. It is believed that during his agyatvas pandavas stay here and pray Surya Dev. But the current temple structure is built around 14th century and other historical details are not available. Temple is decorated all around with Shri Vishnu, Maa Lakshmi, Brahma Ji, Mata Sarasvati, Sita Mata and Maat Parvati, also sculptures with lion, elephants and other animals. There is a Surya Kund attached with the temple. Few steps far Mata Hinglaj blesses devotees in a narrow gufa. Five Pandava cave is just adjacent to Sun temple. Suraj temple can also be viewed from nearby Kamnath Mahadev Mandir of Sarada Math. Triveni sangam is 100m away from the temple. Oldest Sun Temple of Gujarat. Surya Kund Attached With the Temple. It is believed, during his agyatvas pandavas stay here and pray Surya Dev. The current temple structure is built around 14th century.